Pastor David Morris & Bishop Mayeke James pictured here at the Assembly this year. 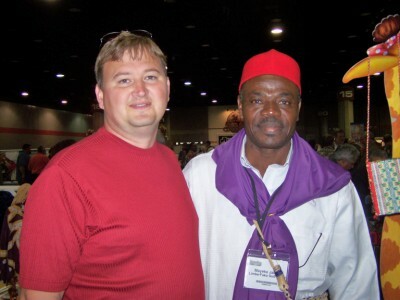 Our church has been Harvest Partners with Cameroon, Africa since 2007. God is blessing Cameroon greatly and many are being saved. Continue to lift Bishop James and his family and the work set before him up before the Lord. Our desire and his is to see many come to know Jesus Christ as their personal Savior.